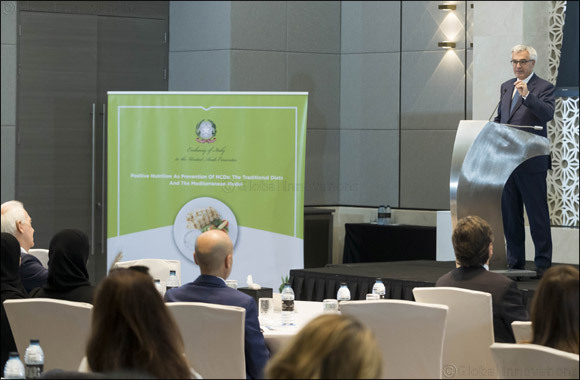 UAE, Dubai, 29 January 2019: Organised in Dubai on the occasion of the 44th edition of Arab Health, today’s conference discussed widespread nutrition myths and provided in-depth insight into the health benefits of a Mediterranean diet. It tapped into the diet’s crucial role in the successful prevention of non-communicable diseases (NCDs) such as cardiovascular disease, diabetes and obesity. This is a particularly important topic for the UAE where cardiovascular disease is the leading cause of death ; across the Emirates around 1 in 10 residents live with diabetes and 47.5 percent of citizens are considered overweight ; and reducing these rates is a high priority.